With many a Hollywood starlet going gluten free as of late, including the stir caused by Miss Miley Cyrus’s gluten free fueled weight loss, this little grain based protein is grabbing everyone’s attention. Seems right now everyone from Paleo to Vegan is talking about gluten. This “gluten free craze”, as its being called, is not new although it’s been gaining popularity the past few years. 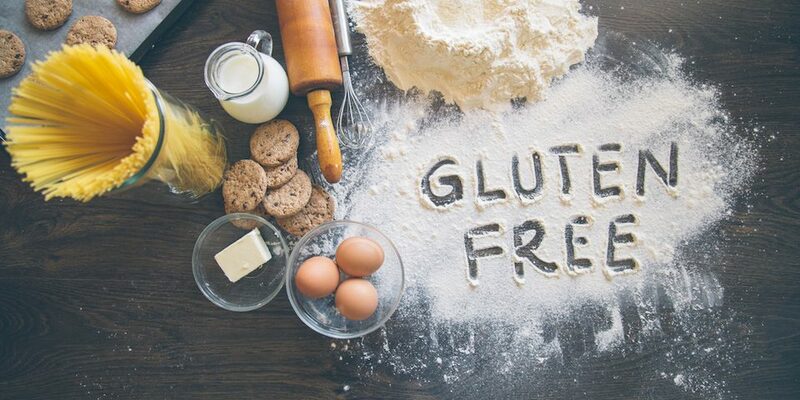 Gluten has been on the radar of natural health practitioners and nutritionists for a long time. So, why now all the fuss? I’ve been meaning to write an article on this subject for awhile but due to my practice growing so quickly and of course my new job as mommy, my blogging has sadly gone by the wayside. But with both the mainstream media and many of my most revered nutrition and fitness peeps lately saying the gluten free lifestyle is nothing but “trendy”, I wanted to lay this out in greater detail so you can see it’s anything but a fad. The gluten talk often turns to whether or not you have Celiac Disease (an autoimmune condition where you attack the enzyme that digests gluten in your intestines and can have antibodies to the alpha gliadin component of wheat causing destruction of the microvilli – hairlike projections on the intestines where absorption of nutrients takes place). But let’s look closer at gluten and how it’s broken down and how Celiac disease is actually just one small facet of the gluten problem. 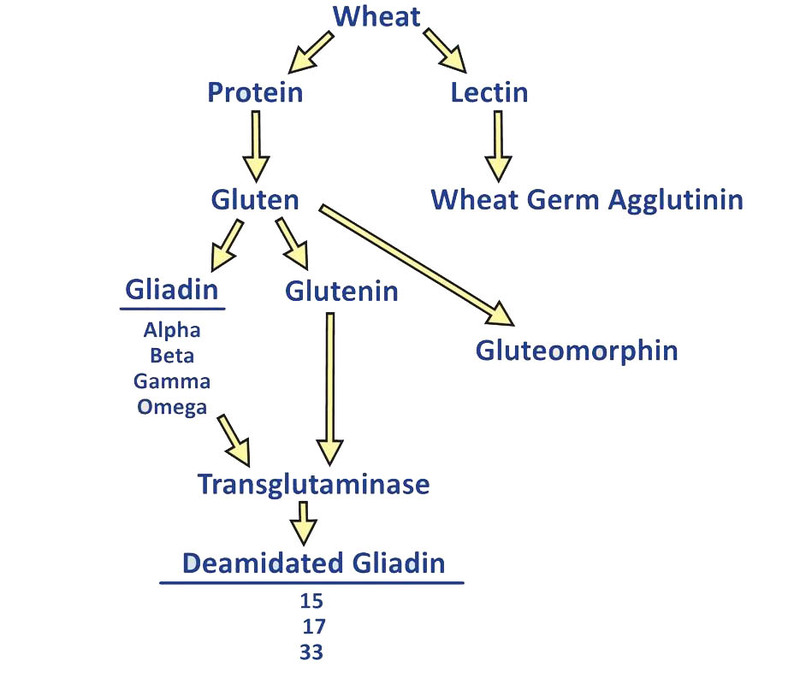 Gluten (from the Latin word for “glue”) is the composite of two proteins called gliadin and glutenin. These exist, joined with starch, notably in wheat, rye, and barley – and most of our packaged foods, sauces, and the list goes on. Not so simple as alpha gliadin huh? Here’s where the advice we hear from Dr Oz to the top fitness magazines to many a blog leads us astray. That advice being: if you do not have Celiac then you don’t need to worry about gluten. Oh my word! This is this not even the beginning of the story, let alone the end. What’s worse, our current screening for Celiac and gluten reactivity misses 1 in 8 people with gluten issues. Surprised? Confused? To be screened for Celiac, the first testing your doc will do includes a couple of antibody tests: alpha gliadin (which is just one form of gliadin) and tissue transglutaminase (an enzyme you make in your intestines that digests gluten). Sometimes an antibody called anti-endomysium is included as well. A positive on any one of these will likely yield an “avoid gluten” recommendation from your MD, however this is not in and of itself diagnostic of Celiac. An intestinal biopsy that shows erosion and flattening of your “villi” is the gold standard for diagnosis of Celiac Disease. So literally, your tissue needs to be damage to a certain extent before we label it “Celiac”. There are a couple major issues with this blood testing we use to say yah or nah to gluten. First, you MUST be eating gluten/wheat in order for these tests to be accurate. If the antigen, the protein (in this case alpha gliadin), is not around, the antibodies we’re looking for in your blood might not be there in high enough numbers to catch on testing. If you’ve been avoiding wheat and gluten for a while you could geat a false negative. 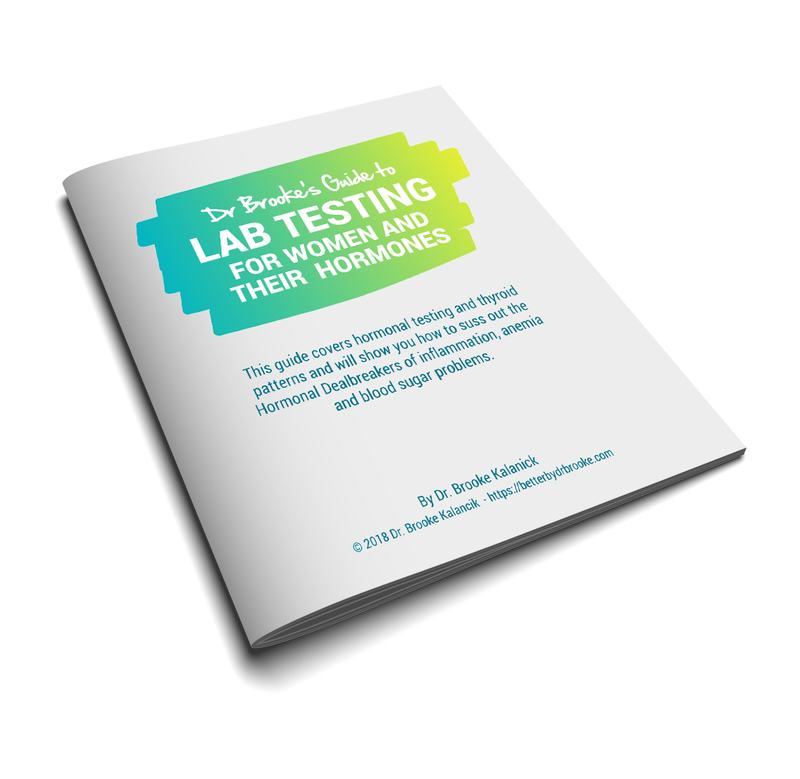 Furthermore, you have to have a healthy immune system for these tests to be really accurate and if you have autoimmune disease (most of which have some level of gluten intolerance as a component) such as Hashimoto’s Hypothyroidism, Rheumatoid Arthritis, Lupus, etc, or are under a lot of stress, your immune system may not have the strength to show enough of these antibodies for us to pick it up. There are alpha, beta, gamma and omega gliadins…and you could be reactive to any of the four forms. Or you could be reactive to deaminated gliadin. Deamination is something that’s done to make the protein water soluble so it can be mixed with other components to make packaged foods. The reaction to deaminated gliaden is much stronger than regular gliadin. There are three of types of deaminated gliadin (15, 17 and 33) and you guessed it, you could react to any of them. Or you could be reactive to gluteomorphins (a byproduct of us digesting the gluten protein). Morphin like morphine, reacts on opioid receptors in your brain and literally gives you a high. The people reacting in this fashion are those that tear up in my office when we discuss going off gluten – they are truly addicted. Or you could be reacting to glutenin (remember that gluten is made up of gliadin and glutenin) and this isn’t tested for conventionally either. Or finally you could be reacting to wheat germ agglutinin, which is not a gluten reaction but more of a “wheat sensitivity” to the lectin portion of wheat germ. So when we focus on “Celiac” and we look at testing for alpha gliadin and tissue transmaminase, can you see just how much we’re missing? And how a negative test from our doc can give us a false sense of security as we continue to eat gluten? And want to know how we’re missing even more people who are reactive to gluten? Usually what gets you tested is complaining to your doc about some sort of digestive trouble (although some autoimmune patients are screened, as well as those having immediate family relatives with Celiac). However, gluten reactivity in the scientific literature is being categorized, not as a digestive issue but as a neurological one. Huh?? Consider this 2002 article from the Journal of Neurology Neurosurgery and Psychiatry: patients with enteropathy (erosion of the small intestines due to gluten) represent only 1/3 of patients with neurological manifestations of gluten sensitivity. Yikes! That means 2/3 of us – over half – that have some sort of reactivity to gluten do not have digestive symptoms! We’re getting missed entirely. 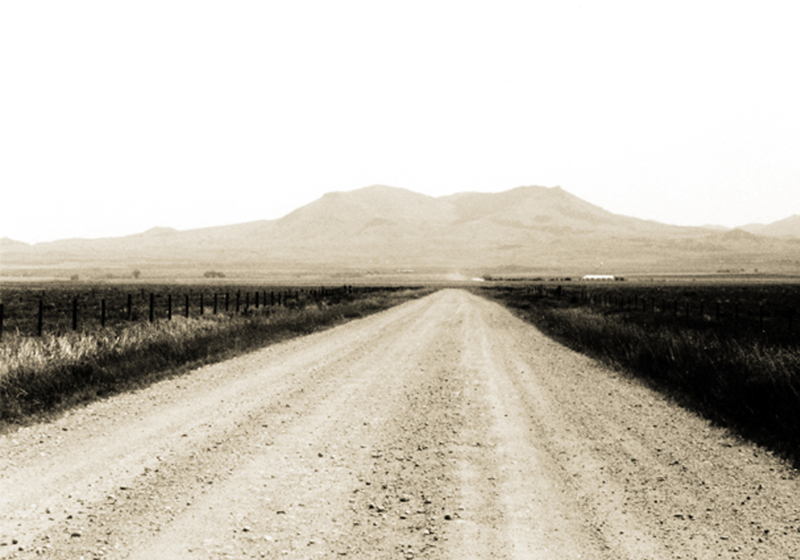 The road leading to my Grandpa Steve’s farm in Montana. For at least 15 years, medical journals have been talking about how we’re missing the boat by focusing on Celiac, alpha gliadin and digestion symptoms only. In 1999, the British Medical Journal stated that we are catching only about 12.5% of reactive gluten patients by diagnosing those with overt Celiac – the teeny, tiny, tip of the ice berg, so to speak. The journal Gut in 2006 said that, “For every symptomatic patient with Celiac disease there are 8 patients with no gastrointestinal symptoms”. This means we’re missing 7 of 8 people reacting somehow to gluten with our current model of testing. If you’ve lost all confidence that you’ll get any sort of reliable gluten testing, rest assured there is now a test that will screen for reactions to all of the gluten reactivity I’ve discussed. Visit www.cyrexlabs.com and inquire about Array 3. Not able to get adequate testing – or don’t want to? You have another option: you can always eliminate gluten and see if you feel better. But note that you have to eliminate it completely and usually for 4-6 weeks or until your symptoms are gone. Then you introduce it back and see how you do. If you feel better off gluten, listen to that! You’re body doesn’t lie. Most of us ignore the signals our body sends us every day, if your body does better off this inflammatory food go with it – testing or not! But let’s face it, even with a positive test on the Cadillac of panels from Cyrex Labs, many people simply do not want to give up gluten. It’s in most of our favorite comfort foods and nearly all of our packaged, widely available, convenience foods. I had a patient that I saw off and on for nearly a year and her weight just wouldn’t budge. She had horrible acid reflux that even with Nexxium, was so bad it affected her sleep and her workouts. When in a prone positions (face down), like for a push up, she had so much reflux she couldn’t finish a set. She had eczema, a few bouts of skin cancer, her stomach ached every time she put food in it, and no matter what we did the scale just wouldn’t budge. No, but our modern genetically modified gluten has proven to be a trouble maker for a whole lot of folks and there is mounting evidence that it makes a host of conditions worse – such as autoimmune disease like Hashimoto’s Hypothyroidism. And I don’t want to downplay Celiac Disease – it is a very real condition and an obvious reason to avoid gluten containing foods. But hopefully I’ve illustrated that Celiac patients are not the only ones that should consider living the gluten free life. Who else should give up gluten? Tune in tomorrow for the answer! And up next after that: 7 reasons why, unlike Miley, you didn’t lose weight when you went gluten free. Questions? Post them here or email me at drbrooke@betterbydrbrooke.com. Looking for tasty, you’ll-never-miss-it, gluten free recipes? Keep up with me on my Facebook page!